ABOUT MIT-ADT UNIVERSITY Maharashtra Academy of Engineering and Educational Research, MIT Group of Institutions, Pune is establishment in 1983 with the aim to provide private engineering education in Maharashtra. Today, after 33 years of excellence MIT Group has 63 institutes and 50,000+ students studying in more than 12 campuses all over Maharashtra. At MIT Group of Institutions, value based quality education is being facilitated in varied fields. We believe in the holistic & inclusive development of young minds. In appreciation of the work carried out by MAEER's, MIT has received UNESCO chair for Human Rights, Democracy, Peace and tolerance on May 12th, 1998. In continuing the task of nation building to promote excellence in Higher education, MIT Art, Design & Technology University is Maharashtra Government's 5th Private State University to create a vibrant, multi-disciplinary society through knowledge creation & dissemination. MIT-ADT University promotes quality education to meet national & global challenges. The University has a holistic approach to inculcate the right values among students to produce socially sensitive citizens. Thus, it encourages not only curricular activities, but co-curricular and extra-curricular activities. It is gratifying to note that MITADT University is one of the top upcoming multi-disciplinary campuses, where various innovative programs make this the best preferred destination of students in India and abroad. Prof. Dr. Vishwanath D. Karad Founder, Executive President & Managing Trustee Maharashtra Academy of Engineering and Educational Research (MAEER), Pune, India President, MIT ADT University, Pune. Prof. Dr. Mangesh. T. Karad Secretary & Trustee, MIT Group of Institutions, Pune Vice President, MIT ADT University, Pune. The Techno-Cultural fest named “Persona” come from English word personality, where it originally referred to “Mask” gives opportunity to the students to showcase their inner potential. It is aimed at stimulating the youth to elevate aspirations, fight challenges and to achieve big. The event aspires to inflame the creativity and the spirit of innovation in the student fraternity. Persona fest 2017 is a celebration of excellence and an unparalleled learning experience to all its participants and attendees. The event is to create a forum for the students to test their intellectual and artistic prowess, simultaneously opening a venue for sharing mutual experience, skills and talent in the field of culture, literary and other activities on a common platform. Bright festoons, fluttering gaily in the cool breeze, smiling, happy faces, and feet tapping irresistibly to music, competitions to test wit and skill, food to tantalize and to celebrate friendship will add zest and zeal to the vibrant energy of the festival. The event forge new bonds of friendship, reinforce old ones, learn some, teach some and all in all have a blast. The vivid events to be held shall help in celebrating the spirit of participation from your prestigious institutions and will complement our efforts to make this festival a grand success. We are looking forward to see you all at the First Inter- University techno cultural “Persona Fest 2017” of MIT-ADT University, Loni Kalbhor, Pune-412 201. “Carnival”- Cultural Events Our strength lies in the artistic expression through various media of creativity that establishes our cultural identities. MIT-ADTU celebrates the idea of bringing together individuals from varying cultural backgrounds and expressing themselves through songs, dances and art-forms.The cultural events organized under PersonaFest is rightfully named as “Carnival” that promises to offer three fun-filled days of rejoice and appreciation for cultural art performances. The event proves true to the theme of the event: "Bringing out the all-round Persona of an individual". We, therefore offer a platform to display your talent through fun-filled programs and contests. The plethora of these cultural events will focus on traditional as well as contemporary cultural aspects required for an overall personality and will prove that PersonaFest is a beautiful carnival that is one-of-its-kind!! The participants will get the opportunity to demonstrate the creative use of the media. To think different is a mark of creativity. Therefore we invite participation for movie making with a twist..... and that is…., play the movie backwards and let us guess the storyline!! . The winning team will be judged for artistic theme, storyline, technical depth and quality of the movie. We will have a celebrity visiting the campus for an interaction with the audience and to grace the event! Celeb Meet holds a chat show with the invited celebrity form the showbiz with a promise that the event would be an entertainer for the crowd. Ensures that you enjoy a musical evening in the plush and serene campus of MIT-ADTU, Loni-Kalbhor. A cool February evening at the backdrop and some melodious music to enjoy….. Can one ask for more??? Shaam-e-Ghazal offers traditional ghazals and light music by renowned artists. Who can eat most!! So…… can you pop more than a hundred gulabjamuns??? This event invites participation from the daredevils who are champions in eating. The one who eats most wins hearts and prize-money! Will prove to be an icing on the cake!!! We invite vibrant, lively and dynamic youngsters in groups to spread their energy on-stage. The dances performance can be one of, or a mix of various genres including folk, traditional and contemporary styles. Pune is evolving as a musical hub with numerous talents waiting to be exposed! This event invites teams from any college or semiprofessional band from India that plays music of rock / metal / western / fusion genres. The teams may perform with a combination of instruments of their choice. This event involves making colourful Rangoli, but with a difference! Can you make exquisite colourful designs with props, grains, yarn, glass, and so on? Can you think of 3D-effects Can you do the unbelievable?? Then this is the event for you!! Go for it! Everyone yearns to be a winning personality. Well, Persona Grata gives you the opportunity to be one! At this personality contest, participants get to exhibit their special talents, intelligence, wit and humanism. We would have a special focus on the "Hatke" Talent that you possess. So….enroll for Persona Grata and unleash yourself! The students of MIT-Institute of Design would be putting up a colourful and exotic showcase of their creations to mesmerize the audience!! This event focuses on the beauty of articulated technical design where the audience gets to appreciate use of science and technology to produce state-of-the art models. The ship-in-campus 'Training Ship-Vishwanath' assembled at the MANET campus depicts an actual ship. It occupies a place of pride at MANET. It is an excellent facility that familiarizes cadets with on board machinery and systems with operational and maintenance routine. MITSUI OSK Lines Maritime (India) Ltd. (MOLMI) has opened a training center at MANET and commissioned 3600 bridge SIMULATOR which adds the learning features of seafarer activities. Design is the creation of a plan or convention for the construction of an object, system or measurable human interaction. Design has different connotations in different fields. In some cases, the direct construction of an object is also considered to be design. The students of MIT-IOD would be displaying showcase of their creations to mesmerize the audience. To design a personal living quarters in a space of a perfect cube. The Space should contain living space, Bed space, Washrooms & other essentials. The user would a hypothetical persona of Male or a Female of not older than 35 yrs in age. A team should not contain more than two members. The scale & size of the cube is to be decided by the participant. To promote robust maintenance of cleanliness, the Government of India rolled its flagship scheme Swachh Bharat Abhiyan on October 2, 2014. It is India's biggest ever cleanliness drive with 3 million government employees and school and college students of all India participating in the campaign. To create a Unique STAMP for a “Swacch Bharat Abhiyan” (Artwork can be in 20cm x 20cm) To envision “India of the Future”. A call to all design aspirants by MITID. To create a Unique Poster depicting India of the future. Students will be given 2 hours on campus where they will create an A3 size Poster digitally. Each participating team will have to present power point presentation on SMART CITY. What they think of how the smart city should be? What are the basic amenities that are required to make a city smart? Participants will be given a specific task which will test their time management skills and efficiency. A static Model/structure will be given which they have to make with the given materials under given conditions within given time period. Based on design, working, appearance etc. few top teams will be selected Final Round will be a thought and design oriented round. Here the teams will have to make a dynamic/working model according to the problem statement given. The teams will be given 2hrs to build their models. In this mindful event, a structure will be given to Participants for construction with constraint of time duration. A fixed amount of money will also be provided to complete project. Participants will have to consider following options: Purchasing of materials, man power and machineries, making smart investments, dealing with government clearances, consulting the experts, managing the various construction techniques. The participants will have to make a location plan in group of four students on environmental sustainable issue within allocated time for topic given to them. The participants will have to complete the task for the relevant environmental issue and the best solution will be considered as winner. The participants will have to make poster by drawing, coloring etc on any environmental sustainable issue within given time allocated and topic given to them. The Participants will have to complete the task for the relevant environmental issue and the best solution will be considered as topper. It's a bird, it's a plane, and it's… the Drones Contest! We're defining a drone as a powered, aerial vehicle that does not carry a human operator and can fly autonomously or be piloted remotely. The objective of this contest is the drone should complete the given task in stipulated time. The objective of this paper presentation competition is to encourage new talent and innovations in the field of Electronics & Telecommunication. A list of problem statements shall be offered to the contestants. Problems statements shall be selected by the contestants. The contestants are required to complete project within three hours. 4X4 Robo Road Rally is a robot race game in which each player attempts to be the first to touch the finish line. The track consists of obstacles and hurdles. Robo of the dimensions 50 cm X 30cm is allowed and electric RC cars are also allowed. The objective of this contest is for a robot to follow a black line on white background, without losing the black line & navigating several turns and curves. The robot which completes the course in the shortest period of the time while accurately tracing the course line from start to finish will be winner. A team of Maximum 3 participants is allowed. In this task will be given to participant on the spot, and the participant will have to find the solution as fast as possible within a stipulated time. There will be Levels, each Level includes some specific tasks. Participant succeeding in one Level shall be deemed eligible for next Level. Difficulty increases as you qualify for next level. The first one to complete the task will be the ultimate winner of the event. Team of 2 or individual participant are allowed. Blackout coding will be a C Programming contest. In this simple problem statements will be given to participants and they have to write code for same by keeping display in switch off mode. After some time interval participants coding will be checked. Those who will be having successful completion will qualify for next round. Individual Participant only can participate. In this unique event participants will have to showcase talent in gaming and coding. Games consists of NFS, CS and coding will be of C++. All participants will take part in all tasks in round 1. Participants will be given a time slots and must report in those time slots only. Qualified candidates will be given a common time to report on day 2. Individual Participant only can participate. It's all about solving MCQ's and coding. After MCQ each participant will be given a puzzle to solve and the answer of the puzzle will be a program which the participant has to code. Survived participants will be given a common problem statement and will be judged on the basis of complete execution (i.e. zero errors) and least time taken and so on. Individual Participant only can participate. In this, each participant/group will be given a sheet consisting of 50 single correct objective type questions. Questions will be based on latest technology and inventions. In next round the difficulty level of questions would be higher and this round will consist of multiple correct objective type questions In Round 1, the few participants (depending on number of registrations), who scores the highest marks will qualify for round 2 and in Round 2, participants who score highest marks will be announced winner. Team of 2 or individual participant are allowed. All the teams will have a clan of 5 players. The winning team will be qualified for next round and the losing team will be knocked out. The maps will be selected by the organizing committee. The first team which wins the maximum of 7/10 rounds will qualify for next round. In case of tie best of 3 will be considered. Team of 5 participants is only allowed. NFS, is a racing video game franchise published by Electronic Arts and developed by several studios including EA Black Box, Criterion Games and Ghost Games. In this the draft of 4 players will be selected and the winner amongst them will be selected for the next round. Depending upon total no. of players the rounds will be played until we get the final winner. Only one winner in each round!!! Individual Participant only can participate. There will be multiple rounds. Each round will be an Elimination Round which will eliminate all the players playing in that team. For example if there are 64 players Then 32 matches will be played in round 1 and in each match there will be 1 winner. In this way participants who wins in round 1 will play in round 2 and this will go on… Individual Participant only can participate. MITCOE ROBOCON team is one of the competent team, successfully got selected in the finals. The robot model which reflects the nostalgic and creative mindset of our students will be showcased in the event. Team is also preparing for ROBOCON -2017 competition. The ROBOTs will be displayed to show our competency. SUPRA SAEINDIA is an annual event organized by the SAE-INDIA to bring together automobile enthusiasts amongst the engineering students of the nation. SAE-INDIA is a branch and part of world known organization SAE International. Team Acceleracers is the official formula student team of MIT Group of Institutes participating in this event since 2010. A group of 25 to 50 students from various engineering streams who do continual research and development in the field of automobile industry. They design and build a formula style race car. We are shwocasing our Stundent Formula Car. Eager to learn Automobile and IC Engine !!! We have come with the workshop aimed at providing an insight to the basics of IC Engine Working and various other automobile engineering aspects. In this workshop students get firsthand experience of the working principles for IC Engine Design. By dismantling a real IC Engine into components, participants can explore the engineering involved in an automotive engine system. Here the participants will have to make a dynamic / working model according to the problem statement given. The problem statement will be given on the spot. The teams will be given 2hrs to build their models. Event will consist two prelim rounds and final round. Round 1: Elimination Round, Round 2: Model Making, & Final Round: This is a thought and design oriented round where participants are tested on their design and application skills. volume. Ÿ Participant can design bottle as a rocket as per their wish. Ÿ Points will be given to each participant as per the horizontal distance travelled by their rockets. Ÿ Participant with Maximum horizontal distance travelled by their rockets will be winner. Everybody knows IC engine and how it revs up the flow of adrenaline in many. This event gives you a chance to fire up your engines, in a miniature form and make a remote control internal combustion engine monster which would leave others spell bounded. Details: Make a wireless remote controlled machine powered only by IC engine, which can race against other opponents on offroad dirt track with many obstacles. Robowar is a very interesting event in which a person will control the robot to complete the track in the least time. Participants will be provided with a wired bot, but they are free to use their own bot (wired or wireless) within the certain specification. One participant will race at a particular time. Time utilized to complete the track will be recorded. The participant who completes the task in least time will be declared as the winner. An aero show is an event where professional aviators will display their flying skills and capabilities of their aircraft. This demonstration will focus on the capabilities of RC planes and RC Quad-copters. The show will demonstrate the aircraft's takeoff rolls, fast speeds, slow approach speeds, as well as their ability to quickly make tight turns, to climb quickly, and their ability to be precisely controlled at a large range of speeds. Maneuvers include aileron rolls, barrel rolls, hesitation rolls, Cuban-8s, tight turns, high-alpha flight, a high-speed pass. Each participating Manager will be assessed for Managerial Skills through various tasks. As name depicts this event will totally be based on Knowledge of participants. Here Quiz will be conducted for teams based on General Knowledge. Team with maximum scores in Final will be a winner. It's a Brain teasing activity. Here participants will be creating advertisements for products/services. Best advertisement will secure 1st position. A person putting forward new ideas related to given topic will be accepted as the natural leader of the group. The panel will observe the ideas put forward, their originality, the depth of analysis and their relevance to the topic. The participant who influences the discussion most will win. Cricket fever will be showered by this event. Six over match will be played between 2 teams and winner team of Final match will be honored with 1st Prize. A treasure hunt is one of many different types of games with one or more players who try to find hidden objects or places by following a series of clues. The Team reaching the Treasure first will be winner. Here teams will be given a product/service, for which teams needs to prepare & present Business Plan. In this participant needs to showcase communication skills and presence of mind by speaking on a topic assigned to them on the spot. Arduino/Raspberry Pi board along with required interfacing material will be provided for the problem statement. Participants should bring soldering iron kit. Paper Presentation. The objective of this paper presentation competition is to encourage new talent and innovations in the field of. Electronics & Telecommunication. hÆ¡n. TRUYá»N Cáº¢M Há»¨NG CHO THá» TRÆ¯á»NG. Page 5 of 22. ADT-Creative-Profile.pdf. ADT-Creative-Profile.pdf. Open. Extract. Open with. Sign In. Main menu. 65 2618 17-F00023-BEEL Nasir Ali Hamdard University Main Campus Madinat al-Hikmah, Sharea Madinat al-Hikmah, Karachi-74600. 09:00 AM -10:40 AM. Whoops! There was a problem loading this page. Retrying... Whoops! There was a problem loading this page. INPLANT TRAINING. ON. BIG DATA. &. HADOOP. Computational Intelligence. Research Foundation. 13, Ayanavaram Road, Ayanavaram, Chennai 23. Best phone number ... We can also accept Paypal payment to [email protected] We hope to feature vendors ... 2017-Celtic-Fest-Vendor-App.pdf. Retrying... Download. Connect more apps... Try one of the apps below to open or edit this item. 03 - ADT and Stack.pdf. 03 - ADT and Stack.pdf. Open. Extract. Page 2 of 2. Lex's Breast Fest # 5.pdf. Lex's Breast Fest # 5.pdf. Open. Extract. Open with. Sign In. Main menu. Displaying Lex's Breast Fest # 5.pdf. G.H.S.THENKARA 5. Mt. Carmel H. S. Mamana 4. G. H. S. Agali 3. F. M. H. S. Karinkallathani 3. Carmel H. S. Palakkayam 3. 10 January 2015 Page 1 of 2. Now, with the help of the Career and Education, students he must learn how to get organized and bake a new batch before Mullaney knows they're gone. Wyoming Eclipse Fest Nonexclusive License Agreement 10.10.16 version.pdf. Wyoming Eclipse Fest Nonexclusive License Agreement 10.10.16 version.pdf. course that is hands on, practical and also fun. It was created by Kenneth ... believes that everyone has potential. He has worked for many non-government. Download now. Click here if your download doesn't start automatically. Page 1 of 1. adt safewatch pro 3000 manual pdf. 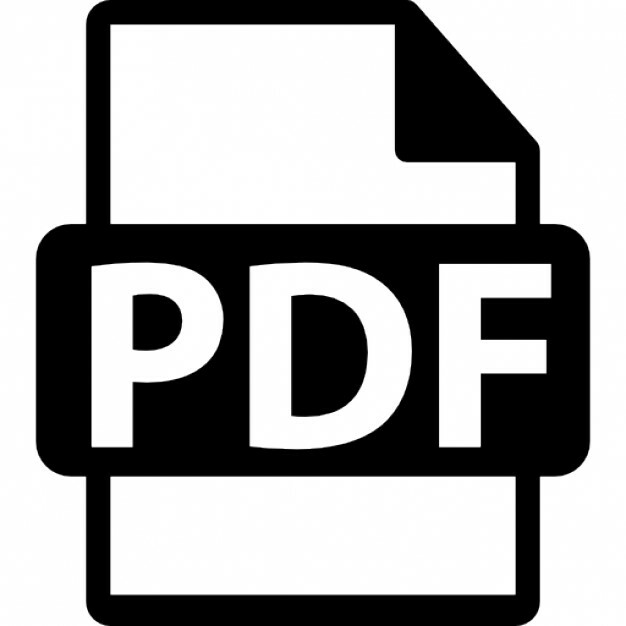 adt safewatch pro 3000 manual pdf. Jun 26, 2015 - registered delegate function on the website that allows you to become part of ..... from Radiopaedia.org are hosting a mix of punchy presentations ... Led by some of the best debriefers in the business, .... CONCURRENT 10:.